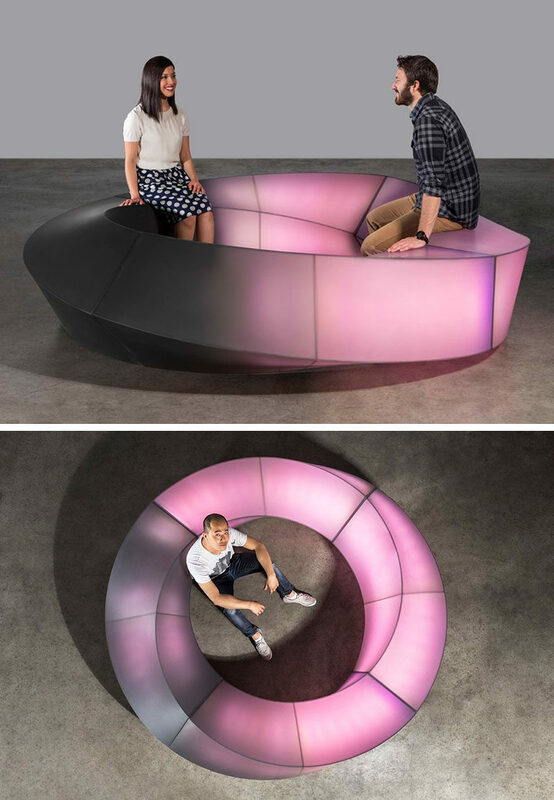 Designer Louis Lim of Makingworks teamed up with 3form to created a modern interactive circular bench named Mobius, that lights up when it’s touched, and was recently displayed at Wanted Design in New York City. 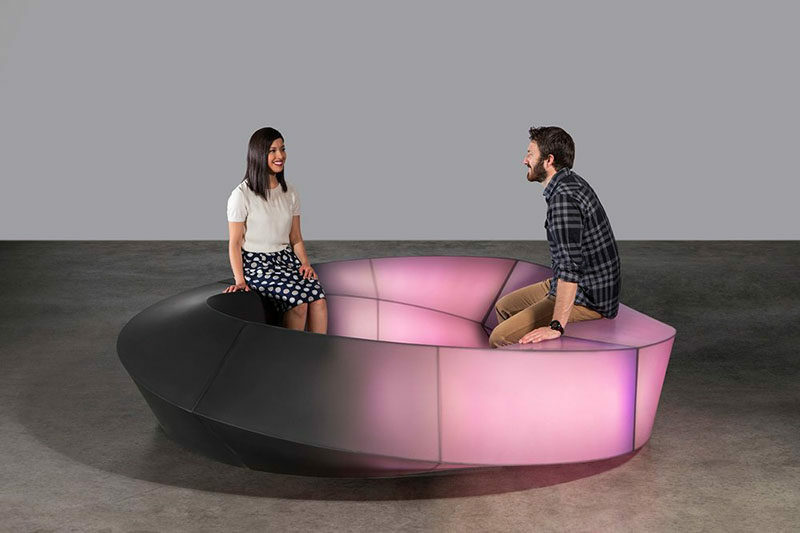 Initiated by Talley Goodson, 3form CEO, the design collaboration was the first of its kind for 3form, and invited Louis Lim for a five-week residency at their headquarters in Salt Lake City. During the residency, Lim was able to meet with the development team and fabricators to take full advantage of 3form’s materials and capabilities. 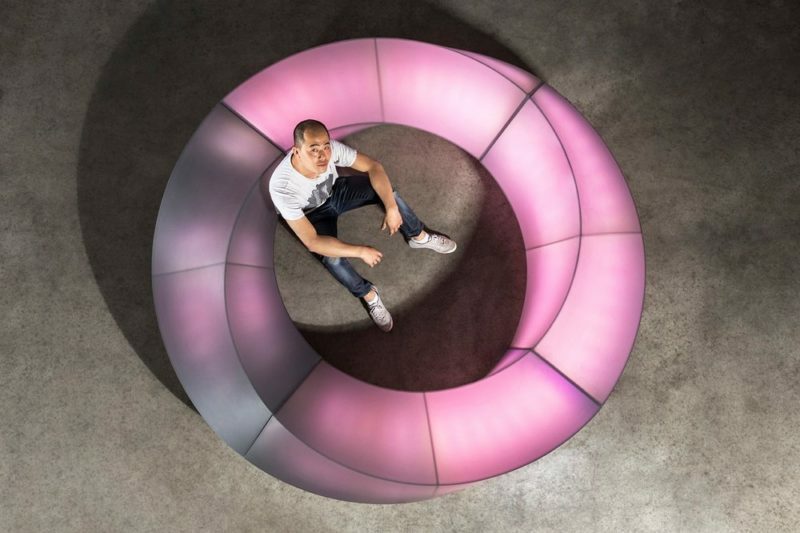 The end result was Mobius, an interactive bench that responds to touch with bright colors and light. “Black is the absence of light, it is space and void, yet Dark Chroma expresses color, light and form. I find this paradox beautiful, mysterious and magical–making it perfect for Mobius.” Louis Lim, Mobius creator. Here’s a video of what happens when people interact with the bench. And if you’re interested, here’s a behind-the-scenes look at how it was made.